Communication (from the Latin commūnicāre, meaning “to share”) is the act of conveying meanings from one entity or group to another through the use of mutually understood signs and rules. The main steps inherent to all communication are the formation of communicative motivation or reason, message composition, method of communication such as digital data, written text, speech, pictures, gestures and so on, and using a specific communication channel or medium. 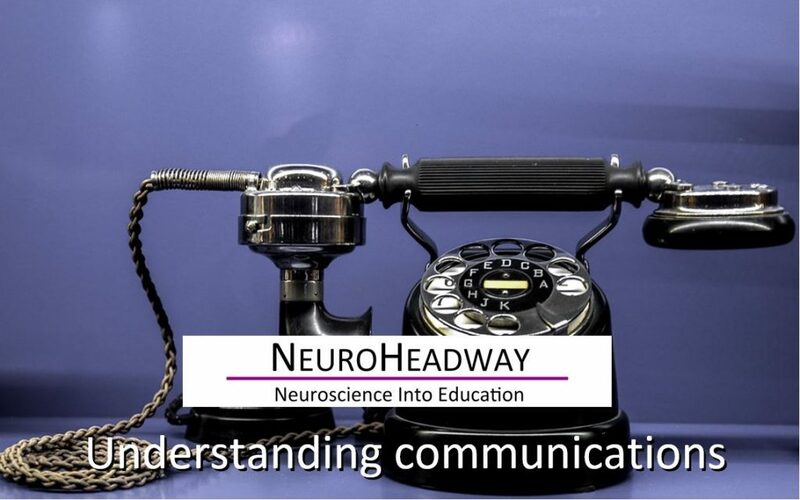 This module looks at human communication in terms of using the senses, language and comprehension, thinking and memory, visual and motor skills and words and meaning.